You’ve crunched the mortgage calculators, estimated your tax payments, and taken a realistic look at how much house you can afford. You’ve stuck within your range when scouring the listings, being careful not to bust your budget. But there are more expenses involved in home buying than just the property costs. And those additional payments, if you don’t factor them in, can be high enough to derail your conscientious planning. Property taxes vary widely, up to 4.2% of a home’s value in some states, according to a CNN map published in 2013. Depending on when you buy, you may owe the previous owners for property taxes they have already paid. You may also need to pay fees to a local association, such as a condo homeowner’s association. Moving into a home can involve major expenses for packing, storing and transporting your possessions and yourself. If you are moving across the country, the costs could be significant. Even moving across town can cost more than you planned for truck rental, movers and equipment. Setting up your telephone, electricity, gas and water—did you budget for these expenses? They could cost more at your new place, especially if you’re moving to a larger home or from a rental. You may need to purchase appliances or furniture for your new home. Some items, like your old particle board bookshelves, may not be worth the cost of moving. Again, if you are sizing up, you face the potentially fun, but possibly financially draining, challenge of filling the new place. Trees fall on roofs. Gutters need cleaning. Driveways need repair…. 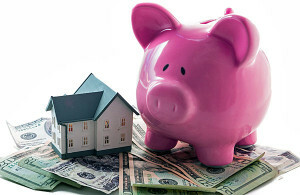 A standard rule of thumb is to budget at least 1% of your home’s purchase price each year for home maintenance costs. Maintenance can include things such as painting, replacing roof shingles, fixing or upgrading plumbing and wiring. The amount you will need to pay for maintenance can depend on the age of the home, the previous owners’ upkeep and the climate. You won’t be able to obtain a mortgage without homeowner’s insurance covering both the property and its contents. However, the standard insurance may not cover natural disasters such as floods, tornadoes and earthquakes. Depending on where you live, you may want to consider taking out additional insurance to cover such risks. If the down payment on your home was less than 20% of the purchase price, you will have to pay for Private Mortgage Insurance. PMI protects your lender in case you default. It’s standard, and fees vary. The rules are complicated, but usually once you have paid down the mortgage so you owe less than 78% of the purchase price, you can drop the PMI payments. Title insurance offers protection for you (and your lender) if you later discover that someone else could lay claim to the title, and therefore ownership, of the house. Even if you are lucky enough to avoid paying for PMI, you find a low-cost attorney you can trust, and you have a modern, energy-efficient house, these expenses can still add up to thousands of dollars. That prospect should not scare you away from homeownership, but it always helps to be prepared.